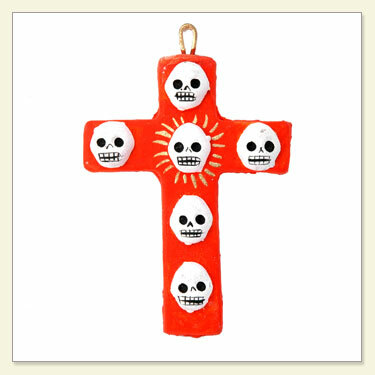 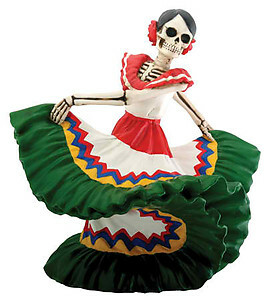 Day of the Dead is celebrated with art derived from the Mexican holiday that honors the dead. 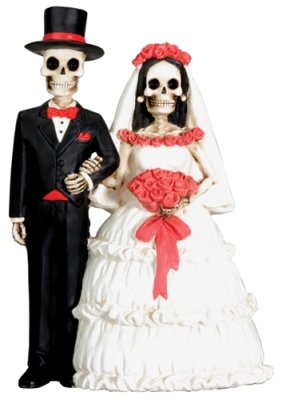 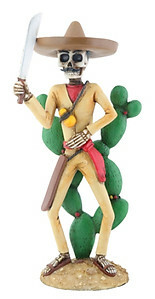 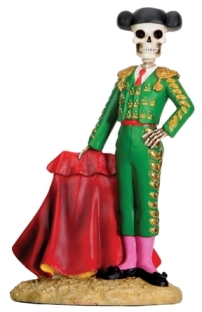 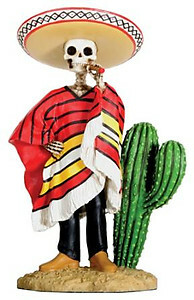 The many moods and faces of Mexican culture and customs are gallantly captured to represent the spirit and souls of the deceased in our Day of the Dead figurine collection. 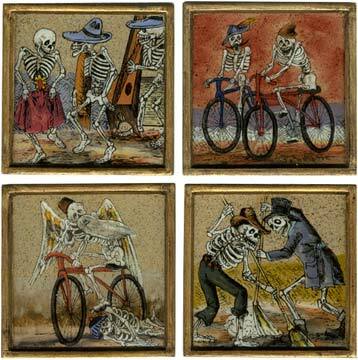 A comical depiction of everyday events in the form of skeletons is a century old tradition and is part of the three day festival also known as Día de los Muertos. 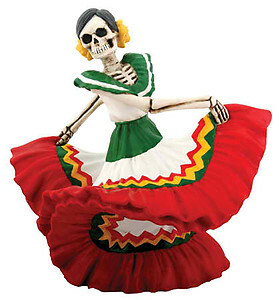 Observant families create Day of the Dead altars where skeleton statues are put on display as part of the festival commemorating their departed ones. 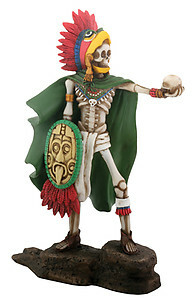 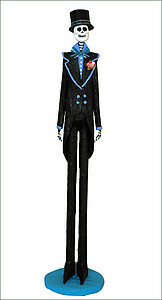 The Day of the Dead hand painted clay skeletons is reminiscent of Mexican Folk creatively illustrating life as we know it from the marriage ceremony to the burial of a loved one. 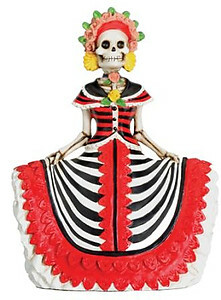 The colorful menagerie of the Day of the Dead characters makes for a unique gift and the perfect addition to any art collection. 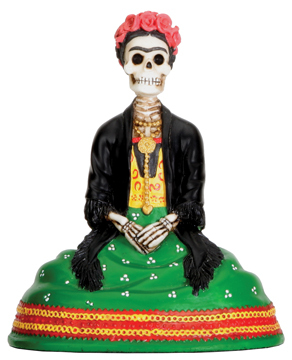 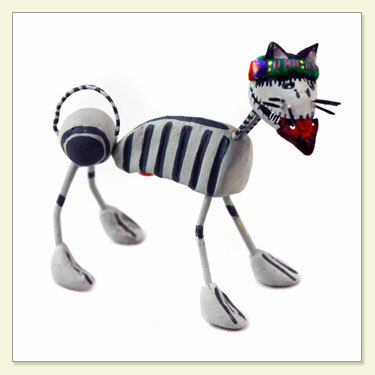 The distinctively different Mexican Folk Art holds a significant meaning to Mexican's as it is their way of reaffirming they have not forgotten the people they love. 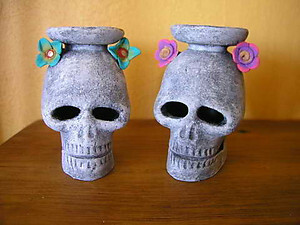 Bluelips Loves Celebrating The Day of the Dead!